Post-consumer plastic scrap can be made into high-grade recyclates provided that all processing steps are optimally matched. The achievable cost and quality level hinges to a large extent on the efficiency with which the shredded plastic material is washed and dried. The German Lindner washTech GmbH focuses its activities on just this step in the recycling chain. The company develops and produces washing systems of a customer-focused, application-specific design which deliver an optimised combination of throughput, effectiveness and longevity. 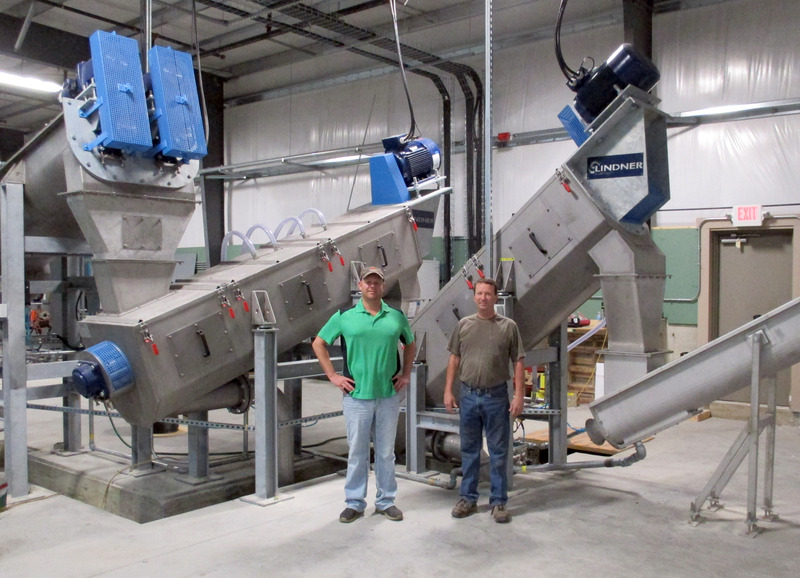 Cedar Poly LLC of Tipton/IA, a leading North American plastic scrap trading and recycling company, recently commissioned a plastic washing system from Lindner washTech which enabled them to significantly boost both capacity and product quality. Cedar Poly uses the new system as part of its recycling line for post-consumer HDPE (high-density polyethylene), which is obtained chiefly in the form of empty containers and bottles. As the company's managing directors Jeremy and Scott Rogers confirm, the plant is now proving its worth in day-to-day operation. "With our old system we had a maximum throughput limit of 300kg/h, and its cleaning performance was not sufficient to produce a recyclate suitable for direct further processing. After thorough investigation, we opted to purchase the most advanced technology from Europe. In Lindner washTech, we found a partner who possesses an extensive know-how in plastic recycling, prepared to design, build and install a system tailored to our needs." * The final stage is an air wash system in which any remaining fines and film particles are separated. When the cleaned and dried HDPE flakes are subsequently filled into big bags, they have a residual moisture of less than 1%. Despite this very low moisture level and the high supported throughput rates, the operating costs of this advanced washing system are fairly low because no thermal drying is needed and the water consumption amounts to only around 5m³/h. The outstanding ruggedness of the washer system supplied to Cedar Poly is a basic quality which characterises all recycling equipment and components made by the Lindner Group. Combined with the use of stainless steel for all parts exposed to water, this contributes to the system's high long-time availability and low maintenance needs. Both managing directors confirm that partnering with Lindner washTech is reaping the benefits now. „With the new system we achieve throughput rates of up to 2500 kg/h, and thanks to its superior cleaning performance we can produce high-grade recyclates in-house. This gives us a clear technological cutting edge over our competitors."